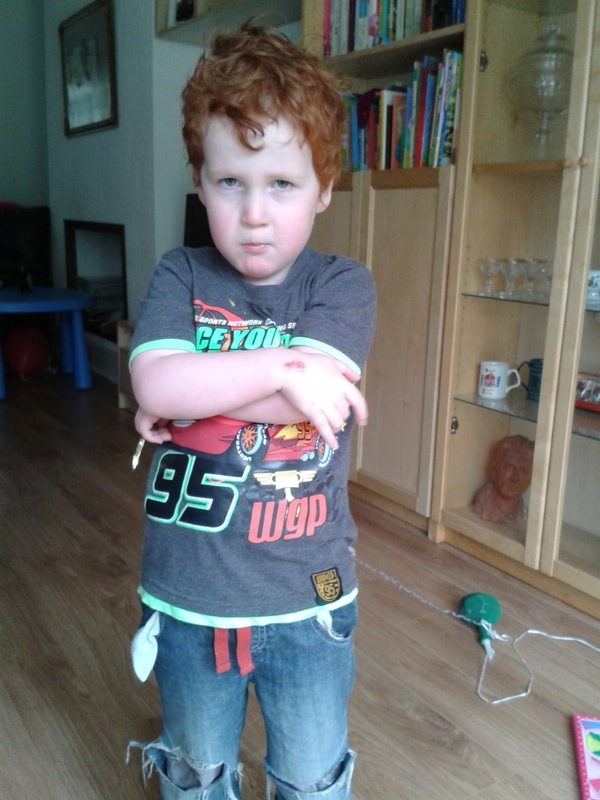 Disciplining Boys – Should We Do It Differently? Ieuan is 5, nearly 6 but already there are moments when he likes to take on the “man of the house” role and directly challenge his dad. They have an excellent relationship with a healthy amount of rough and tumble, wrestling and general bloke-ish mucking about, but I can sometimes “fast forward” in my mind to a time when as a teen, this behaviour may cause more problems than fun. I find myself wondering when it comes to disciplining boys, do we need to do it differently? Already, it is clear that Ieuan’s and Caitlin’s reactions to authority differ widely. Caitlin will mutter, say “ok” and stomp off to her bedroom. She is 7 but already behaves like a “pre-teen”. Ieuan will instigate a faceoff and is remarkably stubborn. As a mum, I have to be honest and say that I find the issue of discipline difficult. The very word makes some people’s hackles rise but I see discipline as “education to avoid consequences” – that is, teaching kids that fitting in with what society expects is important and that their actions may have unfavourable consequences. The simplest example is that running out into the road may result in injury. But when it comes to family ‘rules’, the area is a lot greyer. There are times when you have to question whether what you are asking is unreasonable. We have never sat down and written out family rules which I think is something we need to do. It is difficult, isn’t it, balancing the needs and, indeed, the rights of the child, whilst maintaining a happy, functioning family unit that allows everybody space to grow. The methods we generally use to instil discipline tend to be sending the child to their room or withholding toys / iPads or pocket money but the effect of these is short-term at best. We tried the ‘naughty step’ which never really worked. The kids have both had a slap on the back of the leg once or twice when particularly naughty but this made me feel so terrible (and it had so little effect) that we do not use smacking as a deterrent. I was smacked as a child and I’m pretty sure my behaviour never improved as a result! The whole issue of disciplining children is now such a minefield (the Welsh Assembly recently tried to make smacking illegal) that we have got ourselves into a position where even discussing it is fraught with difficulty and social embarrassment. This is one of the few issues that the husband and I argue about. He says that I am not consistent with my parenting and can be much too lenient. I think he is much too strict sometimes and does not always know when the challenge is made in fun. He says, probably rightly, that bad behaviour should be nipped in the bud whilst we can still influence behaviour; that by the time Ieuan reaches his teens, it will be too late. And Ieuan is a good kid. His behaviour is generally good. How much more difficult must it be for those parents who are struggling with children who are more defiant? I am well aware that having a partner is a great help here. It must be a nightmare for single parents who constantly have to play the role of “good cop / bad cop”. So, if physical discipline is a no-no, if negotiation falls on deaf ears and when faced with a defiant young lad, what do you do? 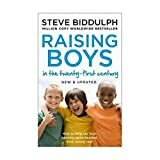 How can you avoid damaging fragile self-confidence and self-esteem without allowing boys to run amok? Do you have a set of family rules? Please share. In the meantime, you will find some great ideas for raising boys here. I think every child is different and needs to be disciplined differently. I found Flower was more defiant than Bear. I think the defiance is different though. Caitlin will slam doors and turn on the tears. Ieuan just impersonates the Incredible Hulk! That does make a difference doesn't it. Sometimes I think kids play up specifically because they feel they are not being listened to. I'm a firm believer in clear consequences to actions. I think it is important to find your parenting style and be consistent with your sanctions too. When parents don't agree on how to discipline a child, then the child can get confused and play off one parent against the other. I wish a child came with instructions though as we all make mistakes! Ieuan is brilliant at that. I'll say no to something then he'll go and find Mat, ask him the same thing and tell him I said it was OK!!! My approach is 'you have a choice. You can behave this way and this will happen or if you choose to behave in a way that is nicer for you and for our family, and this will happen. Give him 5 mins to think about it with an egg timer and hopefully the thinking time may have helped calm things. Explain an instant consequence rule though that if he misbehaves during his thinking time, something will be removed until the following day and stick to your guns. Good look though, it's easy for me to say! Like the instant consequence rule idea. We did try the naughty step but the kids would just wander off. And you have to do it immediately the naughtiness happens, don't you, because otherwise they don't link the bad behaviour with the discipline. We named Ieuan after Ieuan Evans and Caitlin after Dylan Thomas' wife. They both show the appropriate levels of spirit!